Height: 5’11” Weight: 135 lbs. Lucille, known to her friends as Lucy, is one of the most skilled assassins on the planet. She’s been known to use her good looks to her advantage when hunting targets. 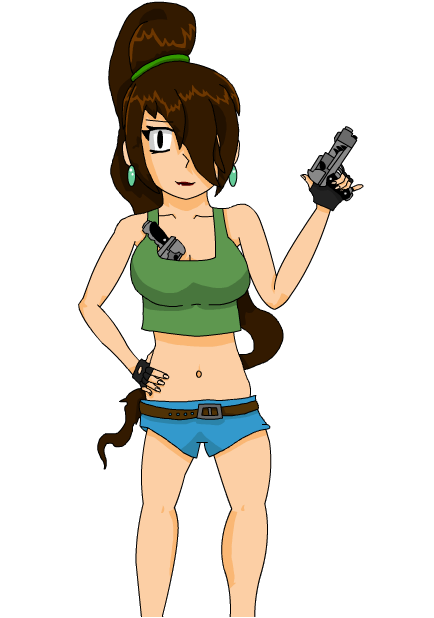 Despite not wearing much clothing, Lucy has managed to hide at least 4 handguns on her person, and always shoots at least 2 at a time.